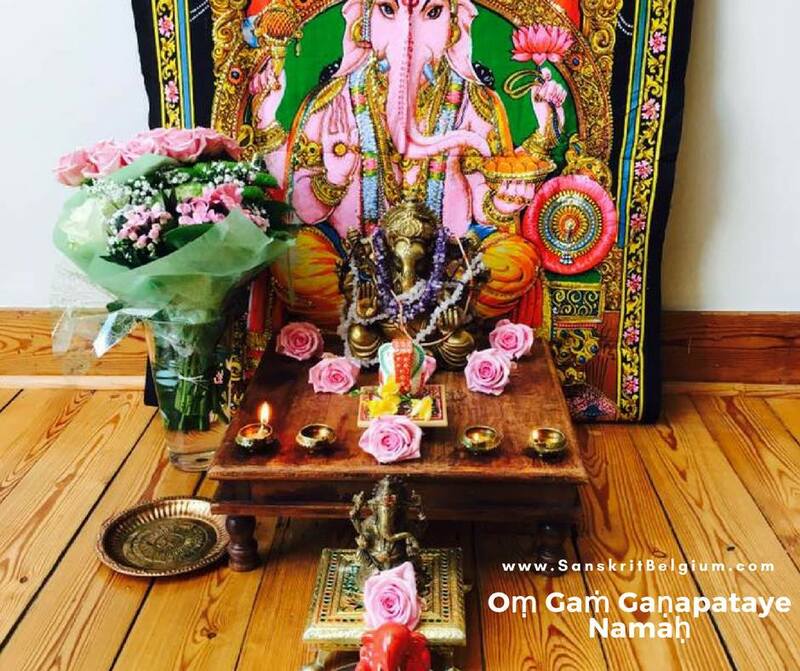 The traditional start to a Veda recitation class – Gaṇapati Prārthana invoking the blessings of Gaṇapati for auspicious beginnings and an obstacle free practice followed by Sarasvatī Prārthana so we can benefit from a higher wisdom through our practice. You will also be able to learn a Śānti mantra through this module. 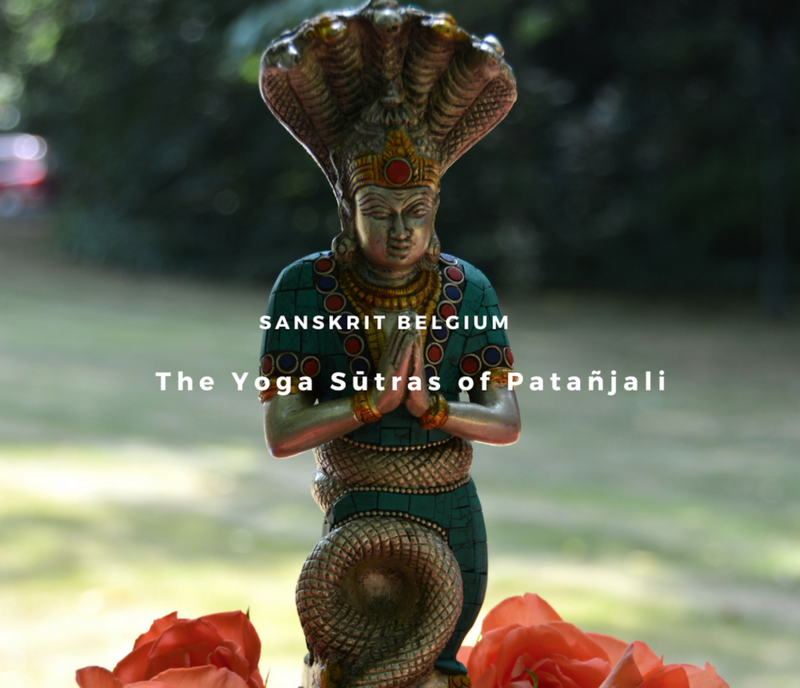 We have included an invocation to Patañjali for students of Yoga to learn and practice in their classes or study. Through step by step audio, video and text lessons, you will be able to learn each mantra and hymn by repeating after a teacher just as if in a live class. All the Vedic phonetics have been explained either through a text file or through a short video explanation, often a combination of both as you need to read some text to understand the video. All the information you would receive in an oral traditional teaching, is available in this module. You can leave a comment or a question in the discussion area within the module if you have specific questions or doubts. I hope you enjoy your study here. 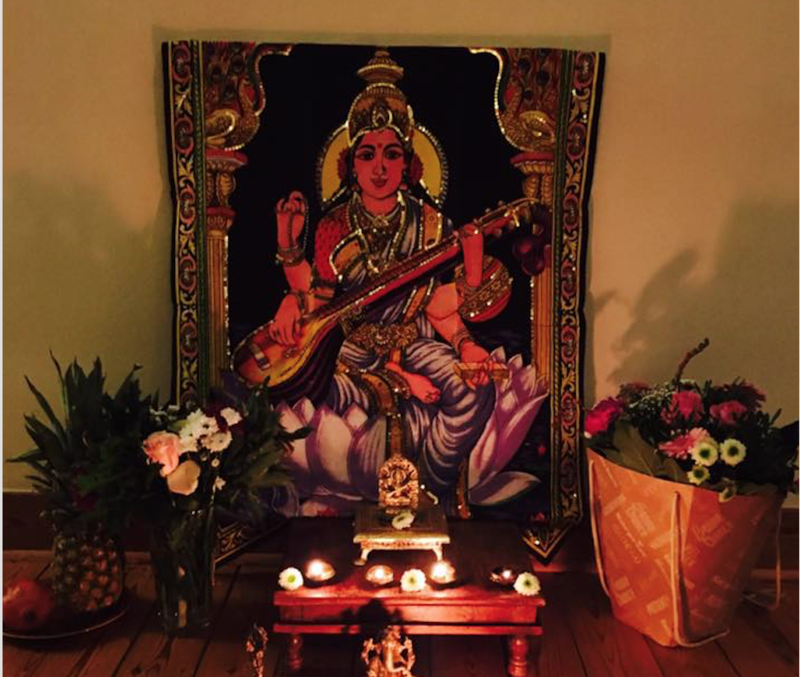 Honouring the Guru - Welcome! Audio lessons recorded in a way that allows you to repeat word by word after a teacher. On gaining some competence, you will have the options of repeating mantras with full sentences. Short video lessons will explain the meaning or some specific rules of pronunciation for you to be aware of. You will be able to download for free, the correct English transliteration text files for your practice and reference. This is self paced learning course of 2 weeks of duration. You are free to take this course based on your need. Unlimited !! You can watch the videos and techniques explained for as much number of time you wish. No, this is an online self paced course with video demonstration. However, you are free to contact the instructor via our direct messaging system or leave a question in the discussion area within the course. No, this is just a basic course on the starting prayers of a traditional class. . This is not a professional certification course.